There are some indications that the upper-level ridge responsible for this long dry stretch of weather may begin to break down this weekend as the tropics heat up and a cold front approaches from the Midwest early next week. The image below shows this mornings run of the latest GFS medium range forecast model. A tropical disturbance may form over the Gulf of Mexico and could potentially impact portions of the mid-south, mid-Atlantic and New England with some much-needed rainfall. 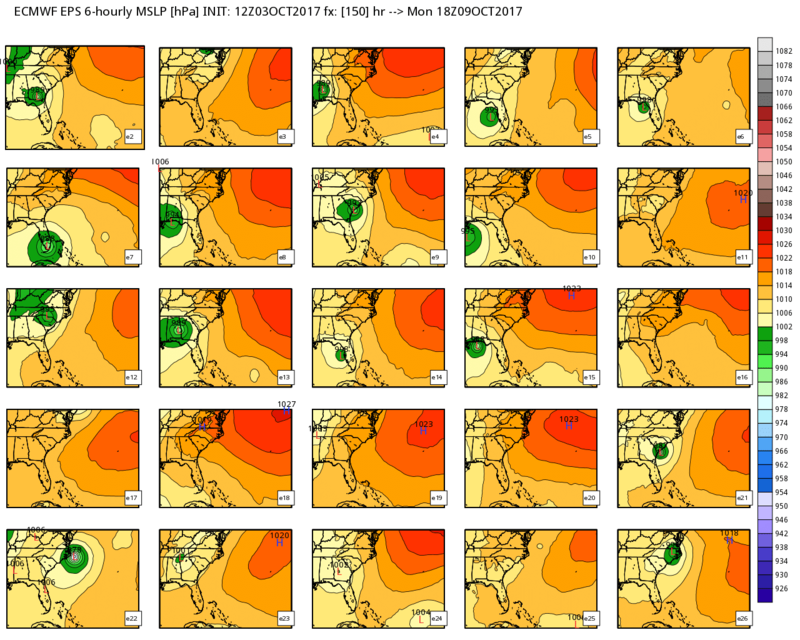 The models are not going to be able to offer any rainfall promises 7 days out but it is something to keep an eye on. We desperately need a soaking rainfall to preserve our fall foliage that is a few weeks away from peak. The European Ensembles are not in agreement on exact track, nor would we expect much in the way of agreement this far out. 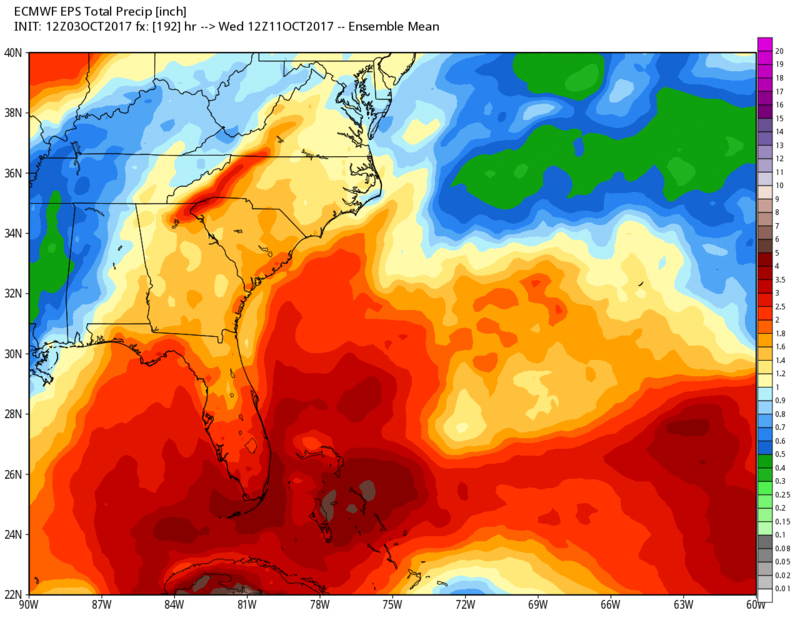 – the latest European operational run which tracks a tropical system into the Mid-Atlantic out ahead of a slow moving cold front shows copious amounts of rain falling. I didn’t include this image because we can’t put too much faith in an individual run this far out. Bottom Line: The tropics bear watching and may provide our area a soaking rainfall early to mid next week. 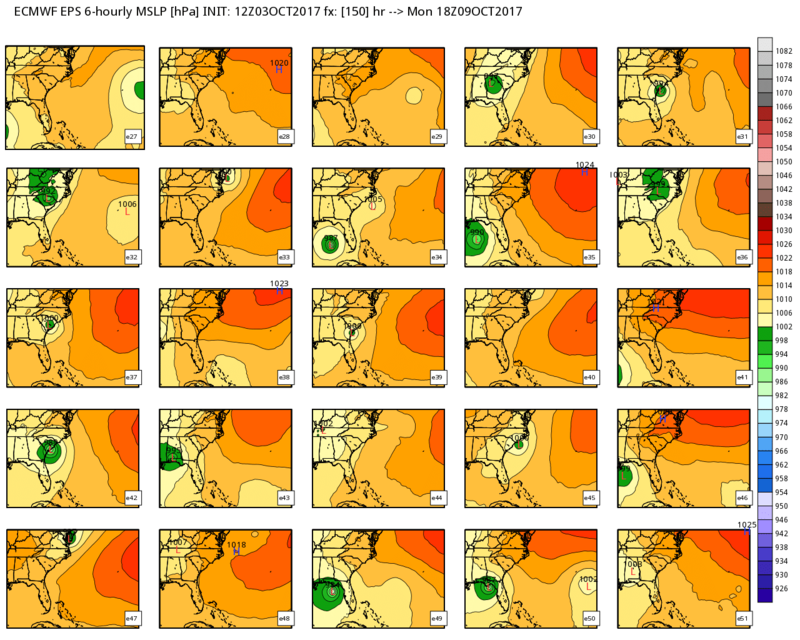 – The “trend” of the past 10 runs of the GEFS model shows an increase in potential rainfall across the Mid-Atlantic through time. Temperatures will continue to warm as we head into the middle to later half of the work week. Humidity will also be noticeably higher as winds shift out of the southwest. Let’s hope that this upper-level ridge breaks down and we can get some left-over soaking rains from whatever may end up forming in the Gulf of Mexico. Bring the rain we need it badly! Any more updates onen the tropical system?